Facebook currently has more than 500 million registered users and with the way it’s been growing for the last few months, it seems that it won’t be long before it reaches the 1 billion mark. Millions from around the world log in everyday to their Facebook accounts. They play games, they chat with their contacts, they post their most recent photos, they share videos and images they found on the web, they can pretty much do anything they want on Facebook without having to visit other websites. Viewing Facebook with an entrepreneurial mind, you don’t have to think to realize its power both as a market place and as a marketing tool. Just looking at its number of registered users is enough to make you think and plan on how you are going to tap it. Facebook marketing however, cliché it may sound, is easier said than done. A lot of people who talk about tapping the Facebook market make it sound so easy and simple. And it’s almost as easy to believe these people given the ease and simplicity of using Facebook. 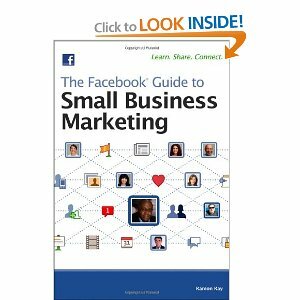 Facebook users are however a tough crowd and it is even tougher to market to them. 1) Do not interrupt them. People hate being interrupted. Take television advertisements for example. 99% of viewers hate these TV ads because they are interrupting their viewing experience. Same with Facebook, if you keep interrupting people there with irrelevant posts on their walls or inboxes, they are going to hate you. 2) Do not pitch to them a product or service without establishing a relationship with them first. You can’t just create a post with a link on it directed to an external website of yours and send it to as many message inboxes as possible. 1) Build relationships first, market second. Facebook is about connecting with people so connect with people before you market to them. Social networking is a two way process. You give something, you receive something. Flooding other people’s walls or inboxes with irrelevant messages isn’t giving at all, is it? Marketing in Facebook is about timing. Pitching products to friends and contacts? It’s always difficult to find the right time to do it but such time will come sooner or later. Let us say for instance that all of a sudden people in your Facebook network are talking about the latest video games and related stuff. Well, it so occurs that you are an affiliate marketer who sells and promotes such stuff. Then it’s the best time for you to get in there, join in on the conversations and talk about the stuff you are selling and promoting. 2) If you have created a Facebook Page for your website, blog or online store, use the page not as a mirror site but as a supplemental site. This means that the contents of your Facebook Page should not be mere copies of what your website or blog contains. Post information in the Page that isn’t available on your website. This gives people a reason to go to your Facebook Page because they know that they will find something that is unique there. Something different from what’s available on your website or blog. The most important aspect of Facebook marketing is the connections that you make. It’s about building a Facebook network via trust and friendship. When people become your friends and they start trusting you, they will more likely get interested with whatever business you have and could become loyal customers of yours.